The Kristallalm offers fans of the most important meal of the day a special highlight: The mountain breakfast. On several dates during the season, the hut offers two tasty breakfast packages that will attract also non morning people. 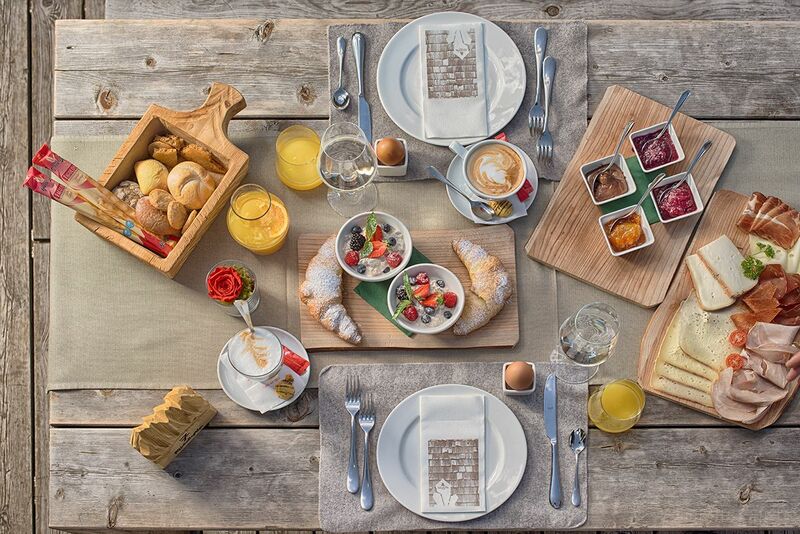 Enjoy daily, from 08.30 am to 11.00 am, our special mountain breakfast “Classic” or “Deluxe” on the Sonnenterasse or in the Südtiroler Stuben of the Kristallalm at Klausberg.